After a long morning. I pretty much stayed in bed until about 10. By the time I got ready it was 11.45am. No time for breakfast or brunch. I moved straight onto lunch. It took a while oreparing myself this morning. The recovery is not just slow at the moment, but painful. So I had to really take my time today. Anyways, juicing!! I have plenty of vegetables in the fridge thanks to my mum. She really helped us outby picking them up on her way over. So tomorrow will be another morning and afternoon juice. I can see a visible difference. And I also feel a lot better inside. So with any luck. I may up the ante on this and go all out for three juices in a day. I’ll see how it goes tomorrow. I do however think I can move back to all three juices. Seeing as I am not allowed to exercise. I have to keep mt weight under control. A strict diet, and an extremely simple exercise plan should help me keep on top of of any fat trying to attach itself to me. But also gef me fit (to a degree). The doctor has specifically told.me that I should not be attempting any part of P90X for up to 6 weeks. Looking ainto alternatives right now. Below you will find a list of all the juices I will be using for the rest of the fast. I’ll add pictures to the posts as I update this site. Please feel free to try them out yourselves and let me know which ones you enjoyed! If I haven’t tried them I’ll make sure I put them on the list. Have a great one! Right, so I thought it would be kind of fun to see how much I had drunk the last time around when I completed the two weeks juicing fast… I know I know, so I did not actually complete the total of two weeks. I had a few salads instead of juices… I am not ashamed. It was my first time juicing and after the first week I was very much done with juicing. But this break helped me continue and finish. If you are considering the juicing fast, I commend you on completing all the days with no breaks (unlike myself), but it took my sister to convince me and realize that healthy eating can also be just as good as juicing. Thanks Usha. So in total I drank 487 ounces which is around 13 837 ml. This does not include the 6 cups of water I had per day for the 2 weeks. But even then almost 14l of fresh vegetable/fruit juice is not a bad deal. The one thing that made it great, was that after completing it I could have milk again. OK, so it’s not quite how it was before. Where I could drink a pint without an issue. But I can now have a glass and eat cheese (in small quantities). Fingers crossed another round of this and I might be able to improve on that. So I started talking to Bimal, he is having issues with shifting some weight. Now although he’s got his exercise routine setup, his diet is the issue. Well actually I take that back. He’s improved it a lot. He makes most of his own food, and he even cooks for his wife. I know the last sentence will ruin the day for most husbands, but thats not my worry. Anyways, so good news… after speaking with Bimal, I spoke with his wife. We didn’t speak for great length but I asked her if Bimal had completed his day of juicing. She said he hadn’t, which then turned into a conversation about why its so good. A short conversation later and she said she would do it. She’d make sure her and Bimal have at least one juice a day, this replaces one meal. So that’s my good deed for the day. I hope they follow through. Also my wife and I are going to start it off again. I am going to try for the full three meal replacement for a week, this should prove effective for my recovery. My wife will only replace the one meal. I heard this quote some years ago. It was actually at college (UK). It’s true for most people, living without the expectations just makes life a little less troublesome. After all we all have things going on in our lives which most people know nothing about. It’s not that we are blocking them out, but simply telling them is not going to better the situation as they may not be able to help. But this is where that sympathetic ear comes in. It’s good to talk and air out your issues. Whilst talking you help yourself by clearing up your thoughts and sometimes you may even find the solution. Just an interesting thought which people should realise, by following it you are only stopping yourselves from being part of something. By talking on a deeper level the relationship with another person is built and made stronger. It’s been a week since I almost finished. A lot has happened, and I can assure you that juicing is still on my mind! How many places can you get you 5 a day in one glass?? I mean really! Two glasses and you’ve got all your nutrients for two days in one day. Well that’s if we listen to all these health and well being sites. So my thought… If you like gardening, and you like juicing, try making your own compost. You’ll have plenty going in. Three times a day if you juice that much, and I can assure you that it really adds up! Just buy a decent compost bin and you’re away. Set it far away from the house, as in the heat it will start to smell. But after a few weeks you should see some great progress with your compost. The compost can then be used to feed your own plants, why not start your own vegetable patch? You can grow your own ingredients for the “Mean Green” or the V8! When I start back up, I will consider the compost bin if I can find a place to put it away from the house. I hope this thought helps you, keep juicing, keep healthy! So I wanted to share my experiences with juicing, well, juicers actually. What I found was that the juicer we were using was an older version. It worked and was more than capable of juicing everything I threw at it, well, placed into it. What I noticed was that the juicer we had was letting a lot of juice go to waste (with fruit). So after many hours of research I stumbled across a range of slow juicers, they are referred to as masticating juicers. I should mention there are two types of juicers, centrifugal juicers and masticating juicers. 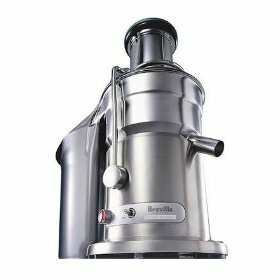 Centrifugal juicers have a blade, which spins real fast, and this is what grinds the produce down and extracts the juice. Because the motor spins very fast, they can sometimes be very noisy. But this is also dependent on the model. Thankfully the newer models are much easier to clean as well. Masticating juicers work differently as they use an auger to push the vegetables through a sort of screen, which is what grinds the juice out. When you chew your food you are masticating, this releases the juices. 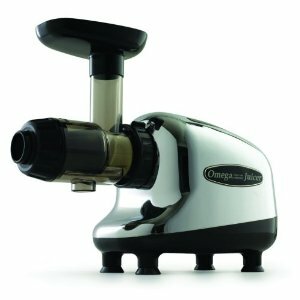 Just the same way that you chew and you knead the food in your mouth, the masticating juicer does the same to the vegetables and fruit you put into it. As the masticating juicer works slower, it’s actually a lot quieter when running. As mentioned by a number of reviewers they are also very easy to clean. What you will find is that you get more juice from the vegetables you put in which will mean you save some money on your grocery shopping. NOTE: The affiliate links, just mean that whatever amazon makes they provide me with a tiny percentage, if you rather Amazon received everything, please do click on the normal link. Either way, good luck with the juicing! I do not own any of these, and am not being sponsored by any of the brands, I just think they would be ones that I would purchase. Let’s resume the standard program shall we? So thank you for reading through my post. I hope the information and links I provided above were helpful. I know how it is when you want to start something and just cannot get everything you need in order to do it properly. At lease this way you have several options above which you can pick from. Or you can take the information and search for yourself. Either way, good luck with the juicing, it’ll help build a better you.